WARMEST GREETINGS from Gaby Gift Shop. At Gaby Gift Shop, we provide you a "Sense of Comfort". We have gifts, flowers and hampers for all occasions. FREE DELIVERY areas within Kuala Lumpur and Klang Valley, Selangor, Malaysia. Our Baby Shower Basket Hampers and Gifts are finely designed to be of Quality, Elegant, and Practical at Reasonable Pricing. Make an Everlasting Impression with our Unique & Practical Gifts or Festive Hamper. We provide the best in Delivery Service, Product Quality, and After-sales Services. It is Hassle-Free for you!!! FREE Delivery Areas within Kuala Lumpur and Klang Valley, Selangor, Malaysia. Gaby Gift Shop - your Trusted Festive Hamper and Baby Hamper Specialist in Klang Valley, Selangor, Malaysia. Your gateway to Gift, Hamper, Baby Hampers, Educational Toy, Health Hampers, Flower, Annual Dinner Hamper, Chinese New Year Vegetarian Hamper, Hari Raya Gift Hampers, Customised Hampers, Corporate Gifts and Premium Basket, Annual Dinner Door Gift, Valentine's Day Gift and Flowers, Mother's Day Gift Basket, Father's Day Special Gift, Christmas Hamper, Christmas Gift Basket, Chinese New Year Hamper, Hari Raya Hamper, & Deepavali Hampers, Silk Flowers, Flower Hand Bouquet, Wedding Door Gifts. 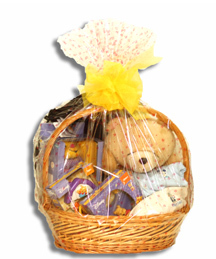 Malaysia Trusted Hampers, Gifts and Baby Basket Specialist.